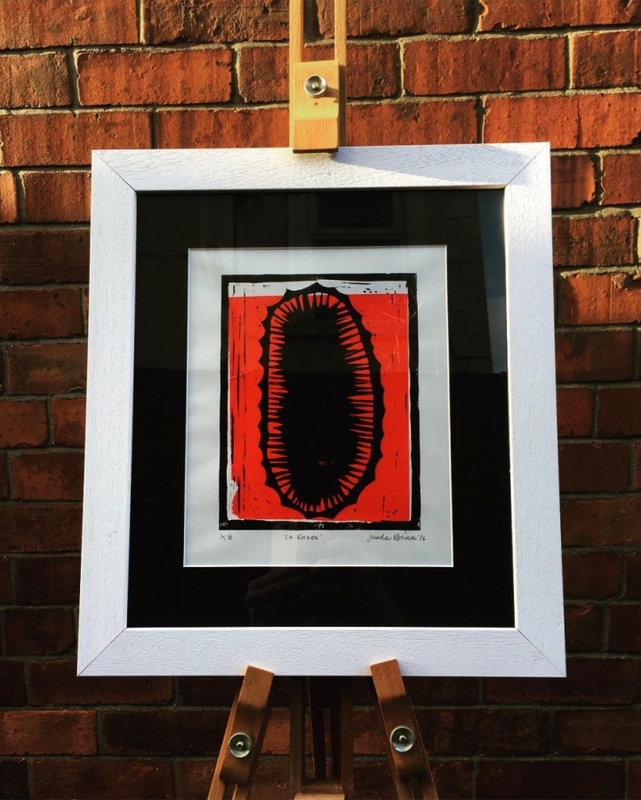 ‘Guadalupe & Other Hallucinations’ is an exhibition of 12 new linocut prints by artist Jonathan Brennan based on the book 'Guadalupe & Other Hallucinations' by the artist's brother. “In 2016, my brother Dylan – a poet, academic and long-term Mexico City resident – presented me with a series of non-fiction chronicles of his early days travelling all over the country. Familiar with my linocuts and monotypes, he asked to make images based on his words. I had total freedom to create anything I wanted, as long as there was more or less an equal distribution of images throughout the collection of texts. “Like many countries, Mexico has its problems, but the current disparaging and bullying discourse from its northern neighbour belittles the richness of this ancient and complex place, full of life and death and endless, delirious contrasts. I would like in some small way to reflect on this injustice while not flinching from portraying the country’s darker sides”. With thanks to Dylan Brennan, The Penny Dreadful Magazine, Belfast Print Workshop, Cotton Court Gallery and Framewerk.